Kellogg's was looking for a simple way to give their customers the ability to take a small step towards making the world a better place. 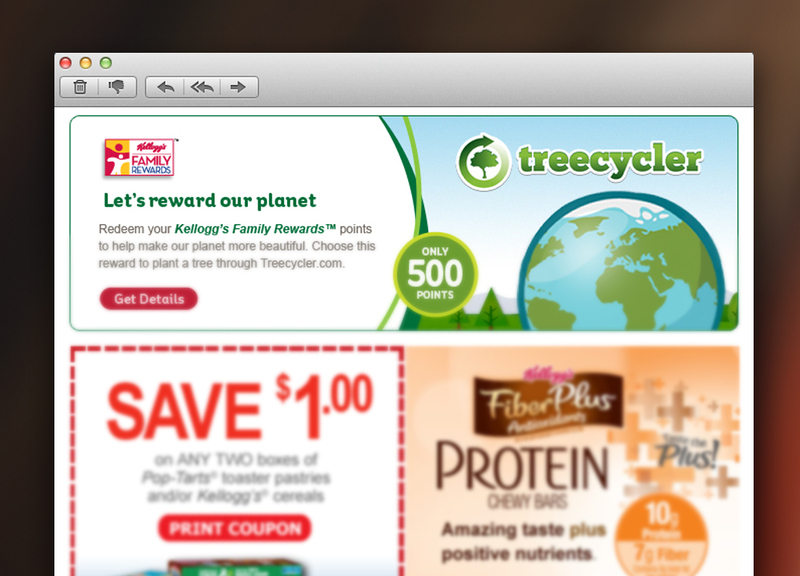 By incorporating Treecycler codes, Kellogg's customers could snap, crackle and pop their way to planting a tree in their choice of available reforestation projects around the globe. 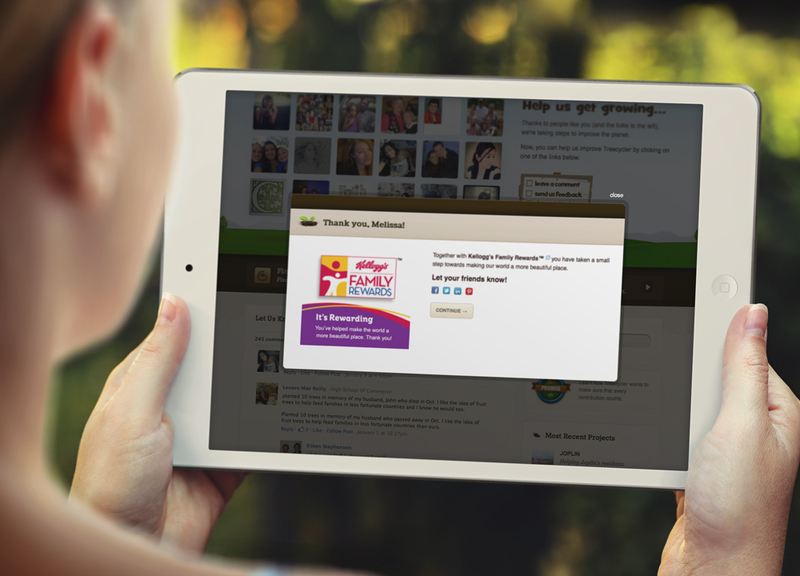 After their Treecycler code was redeemed, recipients could share that they planted their tree courtesy of Kellogg's on their choice social networks. This extended Kellogg's reach and associated them with such a positive, worthwhile action. Whether it's on-pack or online, Treecycler makes it easy to distribute codes and is a cost-effective way to give customers the chance to make a difference for the planet.